While 2018 started off a bit slowly, it appears that things are now starting to pick up. With inventory at the usual low level for this time of the year, we have started to notice an increase in showings and offers on listed properties. In February, 29% of homes sold for at least full list price with 18% selling for over the asking price. The average sale price of $683,800 is down 13.5% when compared to the price record just a year ago. The 124 units sold also represent a 13.7% decline when compared to February 2017. It’s difficult to be optimistic when seeing these figures. 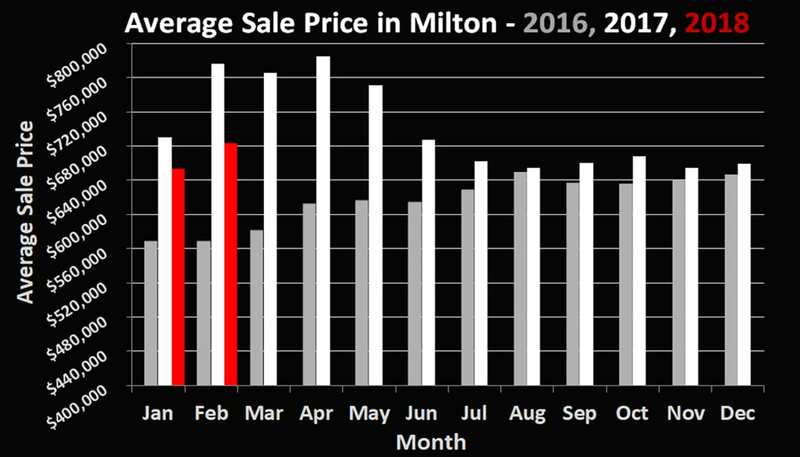 Fortunately for those invested in the market, comparisons to what was the craziest market ever seen in Milton don’t tell the whole story. This month’s average price saw a 3.7% increase over our findings from last month and is the highest number recorded since June of 2017. 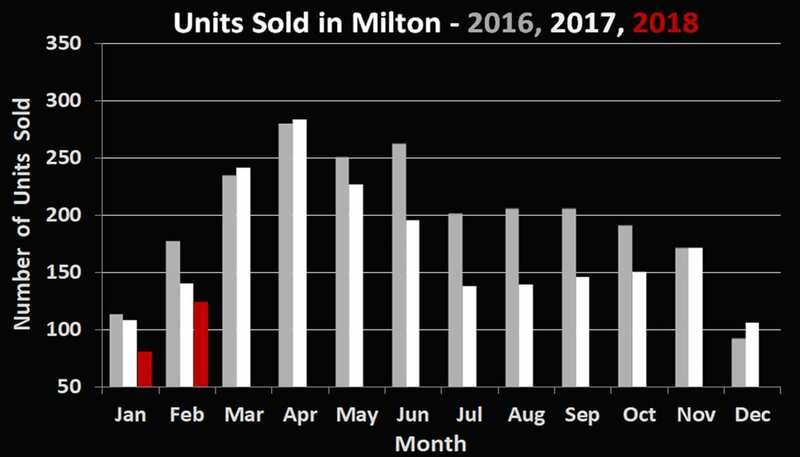 It looks as though after a period of uncertainty that we are poised for another strong, positive year in real estate here in Milton. In the coming months the market will likely reach equilibrium as it typically does, so now may be a good time to consider listing if you’ve been thinking of holding off for warmer weather.